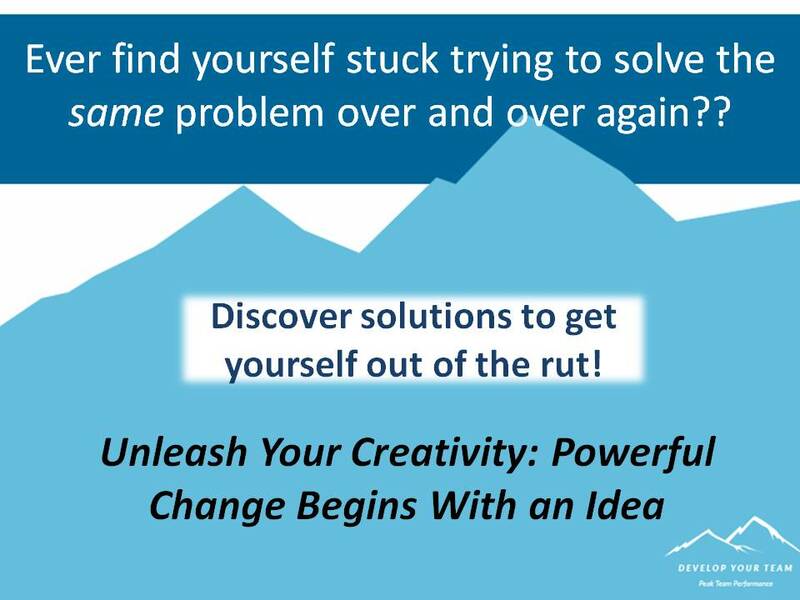 In this hands-on problem-solving workshop you will learn and practice techniques for generating innovative and forward-thinking alternatives that can be applied to real-world issues! These methods are applicable for: solving a problem, planning, making decisions, creating new products or processes, and more! You will have the opportunity to share an issue you are currently facing. Themes will be selected for the activities based on these actual issues. Super cool and useful/directly applicable. I loved how much DOING was in this workshop. Great ideas, activities, very thought provoking! Can easily apply what I learned! Will absolutely incorporate these tactics into our work. Loved your session! I really felt that this was a helpful workshop for my future. Thank you for the ideas on how to generate ideas!